Another painting in my café series. I have done this before but tried a second version. This time trying to get a feeling of hustle and bustle. 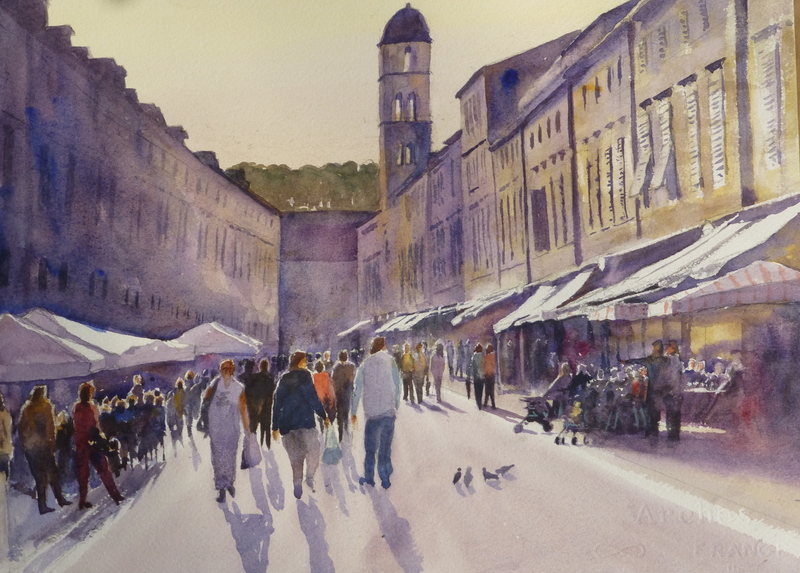 This entry was posted in Dubrovnik, townscape, watercolour and tagged cafe, Dubrovnik, painting, watercolor, watercolour. Bookmark the permalink.